This week as a part of my ad hoc Legalize America Tour (50 by 50)*, I had planned to join the Unity Cypher Torch in Raleigh, North Carolina. The Torch is a project of the East Coast Cannabis Coalition, which began the passing of this meter-long, joint-looking propane torch in Portland, Maine. 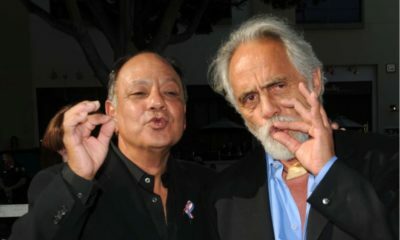 The Torch has made its way down the East Coast, stopping in each state along the way for a ceremony or event related to marijuana re-legalization. The event in Raleigh, held at the state capitol, was a prescription pill bottle drop. Patients brought their empty prescription pill bottles and piled them at the statehouse steps to represent all the medications they’ve been able to kick thanks to medical cannabis. Alas, I was covering the Oregon Marijuana Business Conference in Eugene the day prior and a flight delay forced me to miss the event in North Carolina. I re-routed to South Carolina, where I ran into activist friends from Georgia who’d just come from Raleigh. Their pictures showed a thousand or more people gathered for the event. South Carolina is still deeply in the throes of marijuana prohibition. Get caught with an ounce or less and you’re looking at a misdemeanor, a $200 fine and up to 30 days in jail. Get caught again and that could be a $2,000 fine and up to a year in jail. If you have less than ten grams of concentrate, it’s treated as marijuana, a misdemeanor. 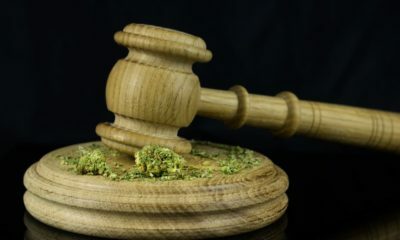 Any amount more than an ounce of flower or ten grams of concentrate is considered possession with intent to distribute—a felony worth five years and a $5,000 fine, to start. Any cultivation is also subject to those felony punishments. It’s not just that South Carolina has these laws, but it also seems like there are cops everywhere. I was staying just outside of Greenville. It was about a two-hour drive to get to the state capitol in Columbia. I believe I saw 11 different police vehicles on that drive. Rosemary smiled back and replied, “It’s my medicine, sir; a type of medical cannabis.” The man seemed surprisingly nonplussed by her response. Great poker face or support of medical marijuana, I couldn’t tell you. Unlike North Carolina, we did not manage to attract a thousand people to join us for the Unity Cypher Torch. In fact, it was just me, my friend from South Carolina and Rosemary there at the capitol. We three signed the Torch, adding our scrawls to those from all the states north of us that have participated so far. *It is my goal to cover a marijuana legalization event in all 50 states by the time I turn 50 years old—January 31, 2018—which will be my 10th anniversary as a marijuana reform podcaster. †I don’t call it a disorder. It’s a perfectly good mind that’s suffered an injury. We wouldn’t call a broken leg “post-traumatic fracture disorder,” would we? It’s neither the leg’s nor the brain’s fault it got broken.